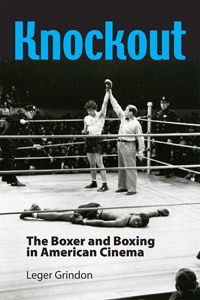 In 2011, alumnus Leger Grindon published two books, Knockout: The Boxer and Boxing in American Cinema (Jackson: University Press of Mississippi, 2011) and Hollywood Romantic Comedy: Conventions, History and Controversies (Malden, MA. : Wiley-Blackwell, 2011). On May 4th, 2012, Leger is to be interviewed in New York City by the BBC as part of their documentary production on boxing films tentatively titled, Kings of the Ring. In May, Leger will be completing his 25th year on the film studies faculty at Middlebury College.